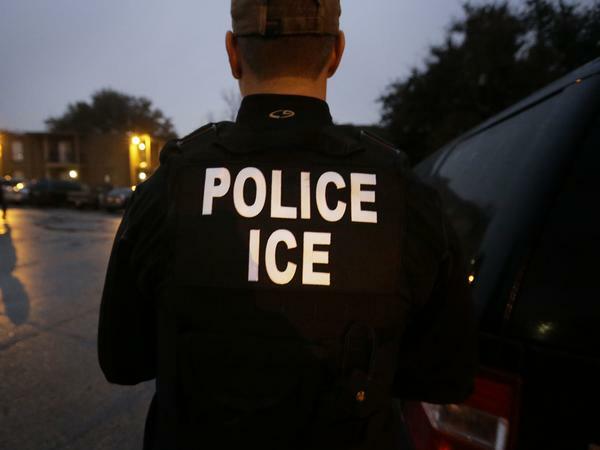 U.S. Immigration and Customs Enforcement said they arrested a man, who was on the way to the hospital with his pregnant wife for a scheduled cesarean section, because of an arrest warrant for him in Mexico related to a homicide case. Venegas told CBS Los Angeles that U.S. Immigration and Customs Enforcement officials got out of the other vehicles and asked for identification from the couple. While Venegas had hers and gave it to them, her husband had left his at home. When Arrona-Lara could not provide his ID, Venegas says the agents asked him to step out of the vehicle and took him into custody. Seen visibly upset on the surveillance footage, Venegas was left alone at the station and forced to drive herself to the hospital to give birth to her fifth child, Damian. ICE spokeswoman Lori Haley said Arrona-Lara "was brought to ICE's attention due to an outstanding warrant issued for his arrest in Mexico on homicide charges," in a statement on Saturday. In an interview with The Associated Press, Venegas says she and Arrona-Lara arrived in the United States 12 years ago from Mexico. She said they do not have legal authorization to live in the U.S., but that all five of the couple's children were born here and are U.S. citizens. "I feel terrible," Venegas told the AP from the hospital after giving birth, adding that Arrona-Lara is a hard worker and the family's only provider. "We need him now more than ever." According to a statement from ICE, the agency's Fugitive Operations Team detained Arrona-Lara and he is in custody with pending removal proceedings. "ICE continues to focus its enforcement resources on individuals who pose a threat to national security, public safety and border security. ICE conducts targeted immigration enforcement in compliance with federal law and agency policy. However, ICE will no longer exempt classes or categories of removable aliens from potential enforcement. All of those in violation of the immigration laws may be subject to immigration arrest, detention and, if found removable by final order, removal from the United States." Emilio Amaya Garcia, director of the San Bernardino Community Service Center and an attorney representing Arrona-Lara, told CBS Los Angeles he had contacted the Mexican consulate and that officials there were not able to confirm the homicide charges ICE cited. Garcia told the AP that his nonprofit plans to file a motion in court on Monday to request a bail hearing for Arrona-Lara and ask that the removal proceedings be canceled.